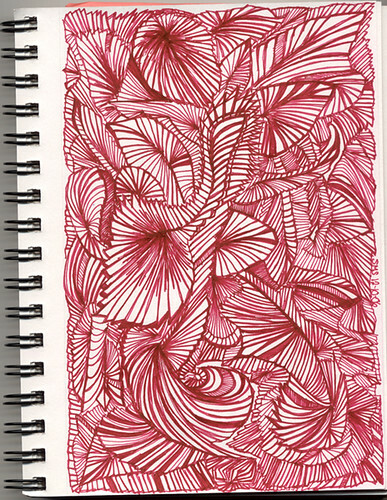 I filled pages in my sketchbooks with obsessive doodles like this. The 1st two were completed in a 5x8" Canson Universal Sketch Book. The others in a pocket sized Moleskine Sketch Book. (I never cared for the paper in the Mole sketchbooks - like writing on a manilla folder - or what we used to call in elementary school, "Oak Tag." 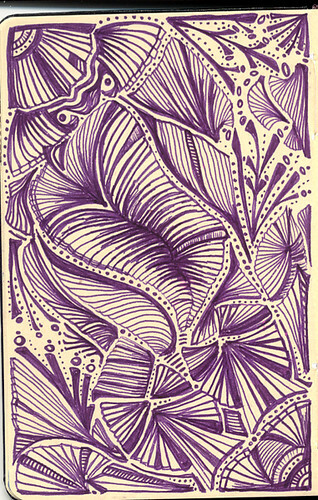 These types of doodles all but stopped once I started doing my doodles in circular form 4 years ago. Do you keep track of the pen and Ink you use for each drawing? I would love to know what ink or nibs or pens were used. Thanks for sharing. Those are beautiful. I especially like the colors in the last one. 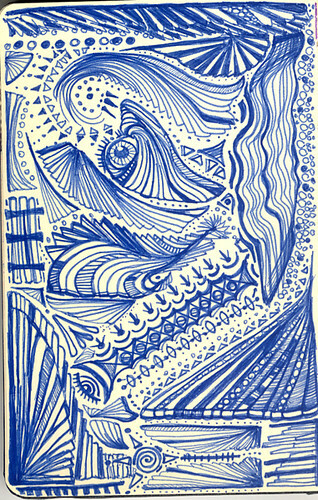 Surfbits - these were created so long ago - way before I was using fountain pens. If I have to guess at what I was using, I'm thinking ball point, Flair felt-tip pens and maybe Paper Mate Liquid Expressso pens? Perhaps a Stabilo marker or two? Wow! 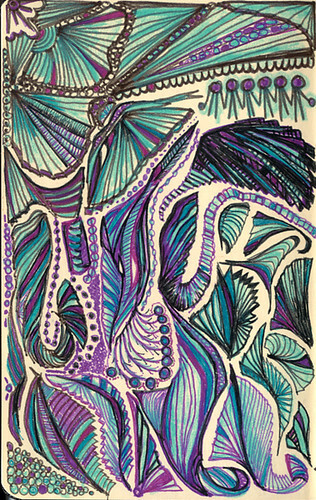 You were doing "zentangles" before it was popular. And better, too.